Research papers on drunk driving discuss the crime and social problem of operating a vehicle while under the influence of alcohol. There are few people, perhaps, who question the safety of consuming alcohol and then getting behind the wheel of a car. Yet the fact that drunk driving continues to be a social problem indicates the depths to which people lose judgment when impaired by alcohol. Each day in America, drunk driving takes the lives of 27 people. In 2014, this added up to 9,967 people across the nation, an average of one every 53 minutes. 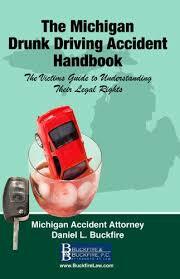 At its most basic level, drunk driving is a crime committed when a person with too much alcohol in their bloodstream operates a motor vehicle. Many states set the legal limit for blood alcohol level at .10, although numerous other states have lowered that rate to .08. The average adult can metabolize alcohol at a rate of one drink per hour. The National Highway Traffic Safety Administration defines one drink as 12 ounces of beer, 5 ounces of wine, or 1.5 ounces of distilled alcohol. All of these amounts contain the same level of alcohol. Drunk driving is said to cost the United States more than $132 billion each year. Additionally, more than 28.7 million Americans admitted to drunk driving in 2013, more than the entire population of Texas. Fortunately, drunk driving deaths have been cut in half in the United States since 1980, which many attribute to the founding of MADD, Mothers Against Drunk Driving, which has consistently lobbied for more aggressive enforcement, including routine sobriety stops by police in the effort to identify intoxicated drivers and prevent another tragedy at the hands of drunk driving. Proposing Solution on DUI Statistics - Proposing Solution on DUI Statistics Research Papers delve into a sample of an order placed for an essay that would like you to propose a solution to a problem. Substance Abuse research papers and essays on substance abuse problems and dependencies. Adolescent Substance Abuse - Adolescent Substance Abuse research papers on the sociological aspects of treatment and counseling for young people with Abuse issues. Chemical and Alcohol Substance Abuse - Chemical and Alcohol Substance Abuse Research Papers look at an example of an order placed for nine essay questions, and you must analyze the key concepts. Substance Abuse Counseling - Substance Abuse Counseling research papers that assist in case studies for nursing students. Drug Use and Abuse Project - Drug Use and Abuse Project Research Papers look at a sample of a paper ordered for a research paper with specific guidelines and questions to be answered. Underage Drinking Laws - Underage Drinking Laws research papers examine the laws that are in place to regulate the drinking of minors. Underage Drinking Research Papers look at the statistics of this problem, and the other risky behaviors that result. Two Wheel Drive Passenger Vehicle - Two Wheel Drive Passenger Vehicle Research Papers look at a sample of an order placed for a research methods paper, supplying the details of the project needed to be completed. Legal Drinking Age - Legal Drinking Age Research Papers research the reasons why legal drinking age should be raised. Zero Tolerance - Zero Tolerance term papers on the criminology term that imposes an automatic punishment for a rules violation. Zero Tolerance Laws - Zero Tolerance Laws essays examine the laws created with the intention of preventing certain crimes to be carried out. Zero Tolerance Policy - Zero Tolerance Policy essays look into the zero-tolerance policies adopted in many American Schools. Drug Abuse Among Youths - Drug Abuse Among Youths research papers illustrate the problems of addiction in young people in America. Alcohol Abuse in College - Alcohol Abuse in College research papers discuss the negative academic consequences of alcohol abuse in college. Effects of Alcohol - Effects of Alcohol Research Papers delve into how it effects the nervous system, and long term effects. Alcohol Dependency - Alcohol Dependency Research Papers look at the psychological effects of alcohol dependency. Alcohol Related Crime - Alcohol Related Crime research papers examine the influence of alcohol use in certain crimes. Paper Masters writes custom research papers on drunk driving discuss the crime and social problem of operating a vehicle while under the influence of alcohol.